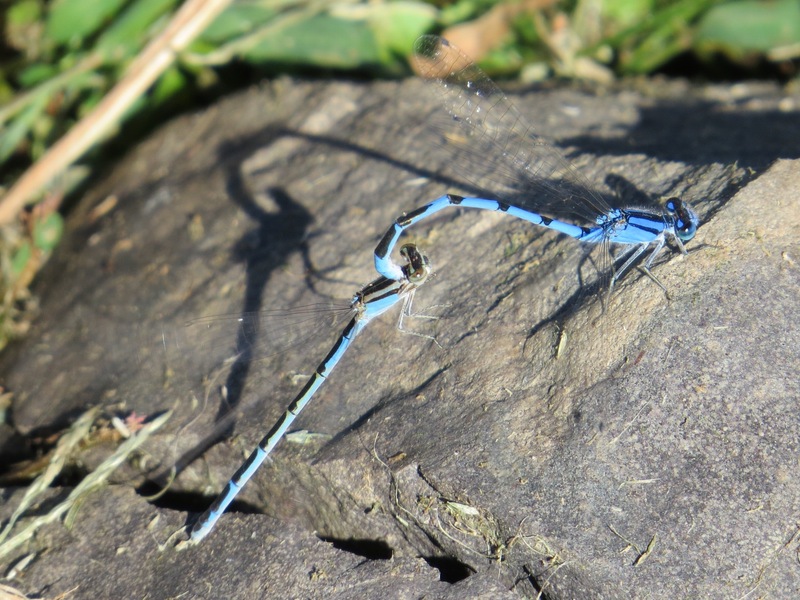 I’ve spotted another Brooklyn damselfly species, bringing my NYC list up to nine species. 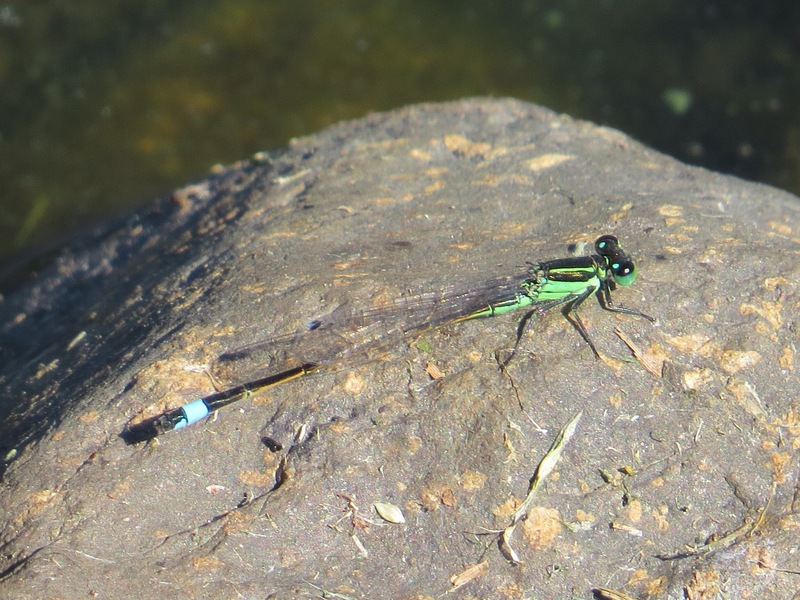 This is a male Rambur’s Forktail (Ischnura ramburii). Approximately 1.25″ long. He was flitting about the edge of Green-Wood’s Sylvan Water among a fair number of Familiar Bluets. This is a pair of Familiars (Enallagma civile) in the mating grip: the male will hold on as the female lays her eggs, and even when she’s not, which precludes another male from assuming the position. According to odonate master Ed Lam, there’s a population of Rambur’s at Jamaica Bay and they will sometimes stray inland.